What if you could transform your smile in as few as two visits to the Murray Dental Group?With the advent of modern dental technologies, there are many options today to improve your smile. Are there ways to maintain whiter teeth or to keep your teeth brighter after a whitening treatment? Although we love to help patients whiten their smiles, our first goal since 1976 has always been preventive care. Preventing tooth discoloration begins with an understanding how your lifestyle directly impacts your smile.  With a tradition of modern excellence, the Murray Dental team utilizes the latest tools in advanced smile care with porcelain veneers. Veneers provide a quick and pain-free solution for a stunning smile by reshaping your teeth in as little as two visits. With a significant rise in the desire for a whiter smile, OTC teeth whitening options have flooded the market over the last few years. As a result, patients often ask us: Is Professional in-office Whitening better than the over-the-counter products available? From first impressions to ongoing personal and professional relationships, your smile can often speak louder than words or actions. Studies reveal at least four ways a great smile can help you. This is the copy for your new blog article. If you wouldn't mind looking over it and sending me your approval, I plan on posting to your website next week. Thank you! The sun shines brightly. Flowers show off their full bloom. Green grass carpets the landscapes. Kids celebrate their last few days of school. Shorts, tank tops, and bathing suits abound. Pools open. Parks fill with play. Stress melts away. Moods lighten. Smiles and laughter reflect the hope of a few months full of new memories.